To help consumers build a credit history or improve their existing credit scores, Green Dot Corp. launched Sept. 29 the Green Dot Platinum Visa Secured Credit Card. Being a secured credit card, the credit line is backed by the cardholder’s security deposit held with Green Dot Bank. Because Green Dot reports customers’ payment history to the three major credit bureaus, customers can eventually improve their credit history with responsible card use. The card program also enables consumers to pre-qualify without impacting their credit score and it offers free online account management. Consumers fill out a short application to see if they’re approved for the card. If approved, Green Dot will inform the consumer what their maximum credit limit is, up to $1,000, and the card is mailed to their home. Cardholders can fund their security deposit with cash at any of Green Dot’s thousands of locations, including Walmart, 7-Eleven, Walgreens, CVS and Dollar General stores. The minimum deposit is $200 and the cardholder’s credit limit is equal to the amount of the deposit. Customers can make their monthly payments at a retail location or using Green Dot’s free online bill pay. 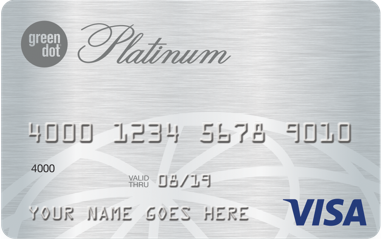 The card has an annual fee of $39 and 19.99 percent APR. The new Green Dot card isn’t the first time a prepaid card provider has tried to bridge the gap between GPR prepaid card usage and establishing or improving credit scores for consumers. For example, in 2014, the U.S. Treasury and Banking Up, a New York City-based GPR card provider formerly known as Plastyc, began working on an ongoing project to help determine whether providing consumers with a prepaid card and a secured credit card can improve their access to consumer credit. Also, Suze Orman, the television advocate for personal financial responsibility, helped create the now-defunct The Approved Card, a Mastercard-branded GPR prepaid card. Orman had been working with credit bureaus to determine whether cardholder behavior on the Approved Card could help consumers build credit.